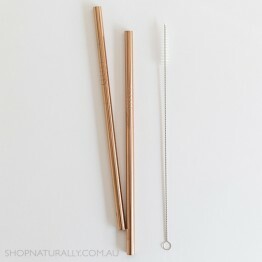 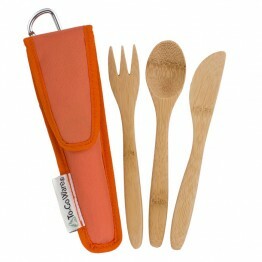 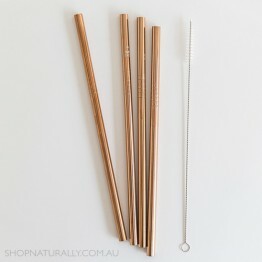 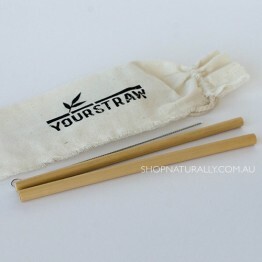 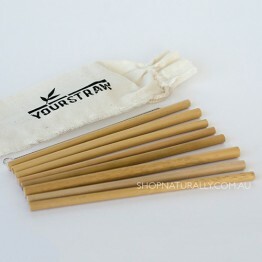 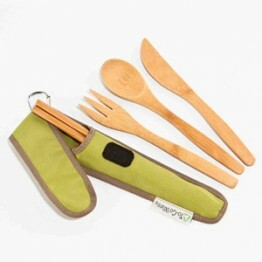 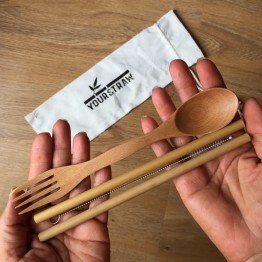 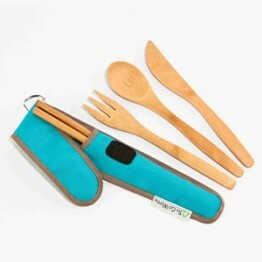 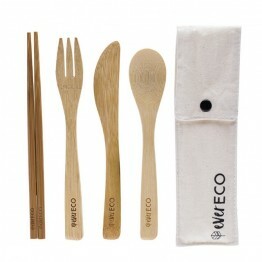 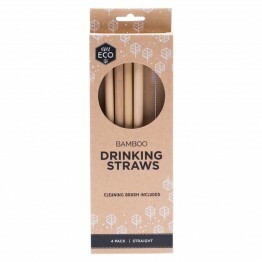 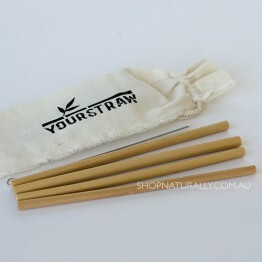 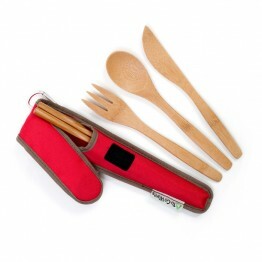 A bamboo utensil set with knife, fork, spoon & chopsticks in a pouch made from recycled water bottles. 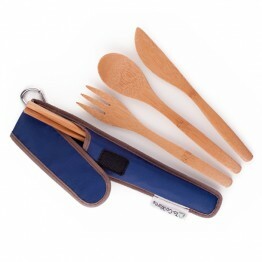 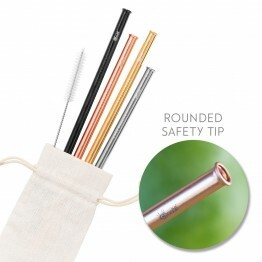 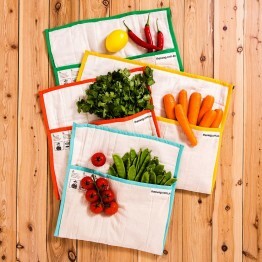 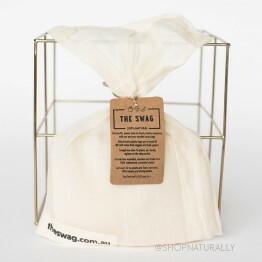 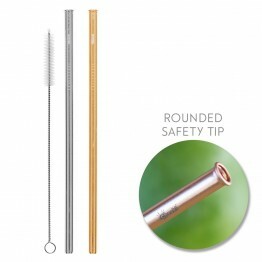 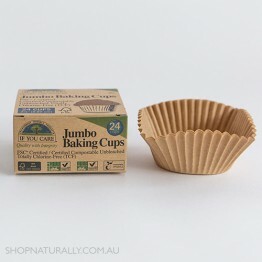 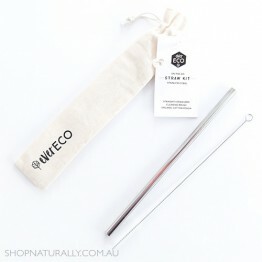 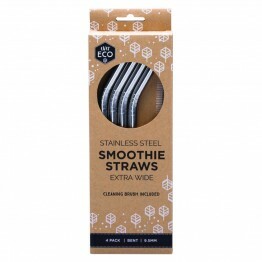 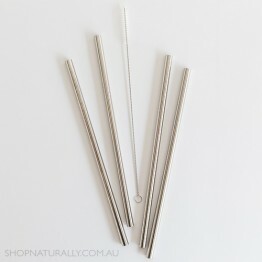 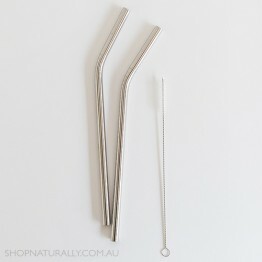 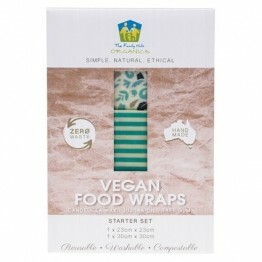 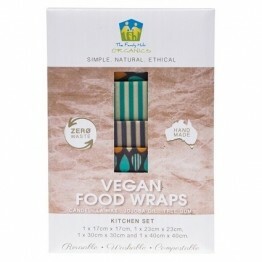 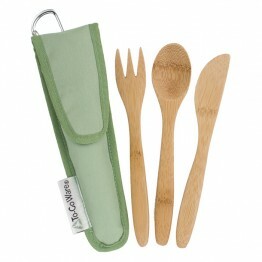 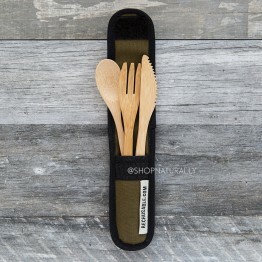 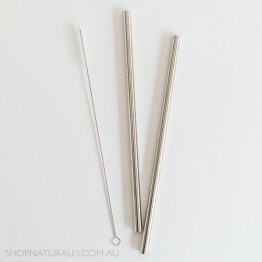 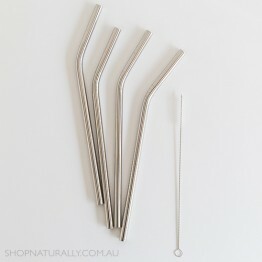 A small bamboo utensil set with knife, fork and spoon in a pouch made from recycled water bottles. 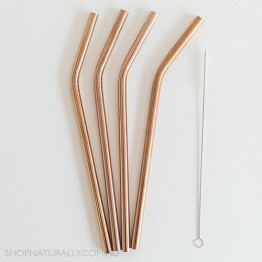 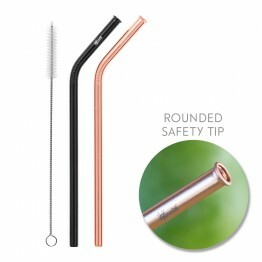 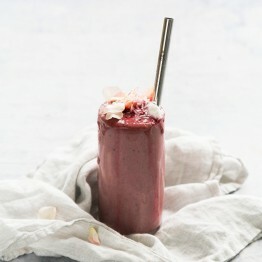 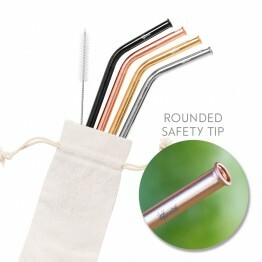 Safer to drink from with rounded safety tips on the end. 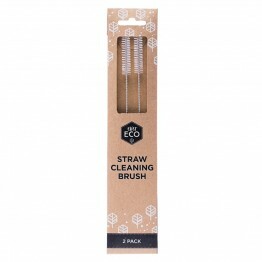 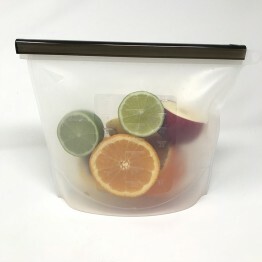 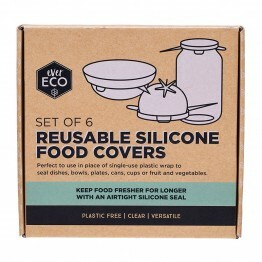 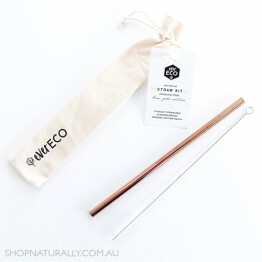 Plastic free packaging + bonus cleaning brush. 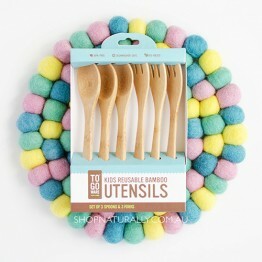 Soft & safe for little teeth.